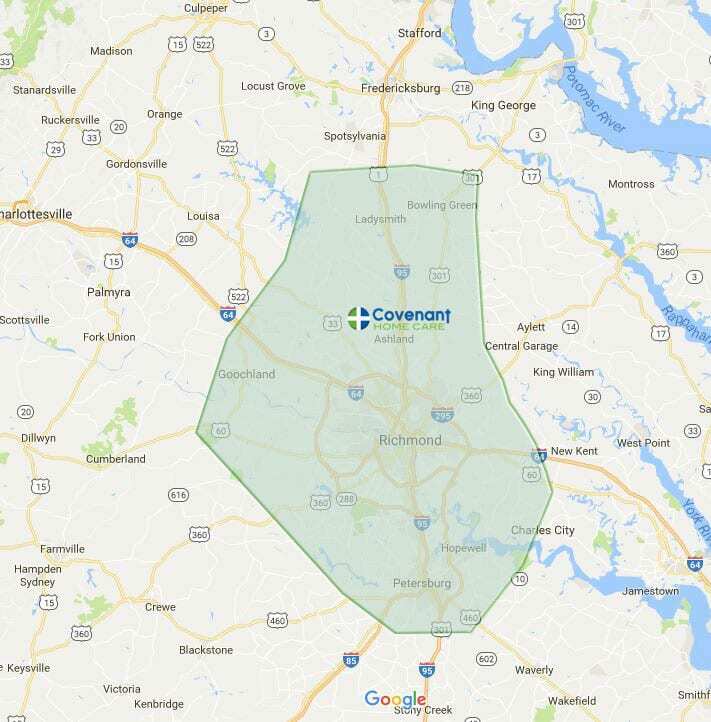 Our service area includes the following towns and counties in Virginia: Ashland, Beaverdam, Bon Air, Bowling Green, Caroline County, Chester, Chesterfield, Colonial Heights, Doswell, Glen Allen, Goochland, Henrico County, Highland Springs, Hopewell, Ladysmith, Lakeside, Mechanicsville, Midlothian, Montpelier, New Kent, Petersburg, Port Royal,Powhatan, Quinton, Richmond, Rockville. Ruther Glen, Short Pump. Below is a map that approximately represents the geographic area we serve in and around Ashland, Petersburg and Richmond Virginia. 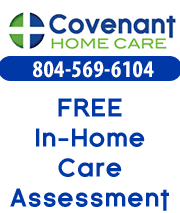 If you need in-home care for yourself or your parent in or near any of these areas, please give us a call. Or fill out the free assessment form to the right.